A Sorrentino Lacryma white to start followed by a Feudo Montoni from Sicily. 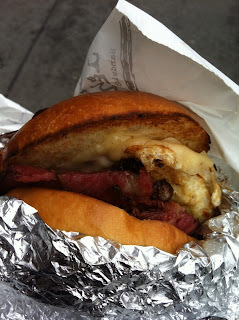 Check out what Mulligan had for lunch: brunch special at joe dough - duck egg queso blanco shoulder bacon on brioche. yum.